The ninth annual HVR Awards took place at London’s Chelsea Harbour Hotel on Thursday 25 October, and the very best from across the heating and ventilating sectors gathered to be a part of the scheme’s biggest celebration to date. Circlemiser was awarded “Air Conditioning Product of the Year“. This award goes to “the coolest new air conditioning product or the development of existing technology in the market”. The new Circlemiser chiller is one of the most efficient and innovative chillers available today with unbeatable EER, SEER and ESEER performance. The unique technology is in the design and development of special cylinder condensers and the installation of cascade flooded evaporators. 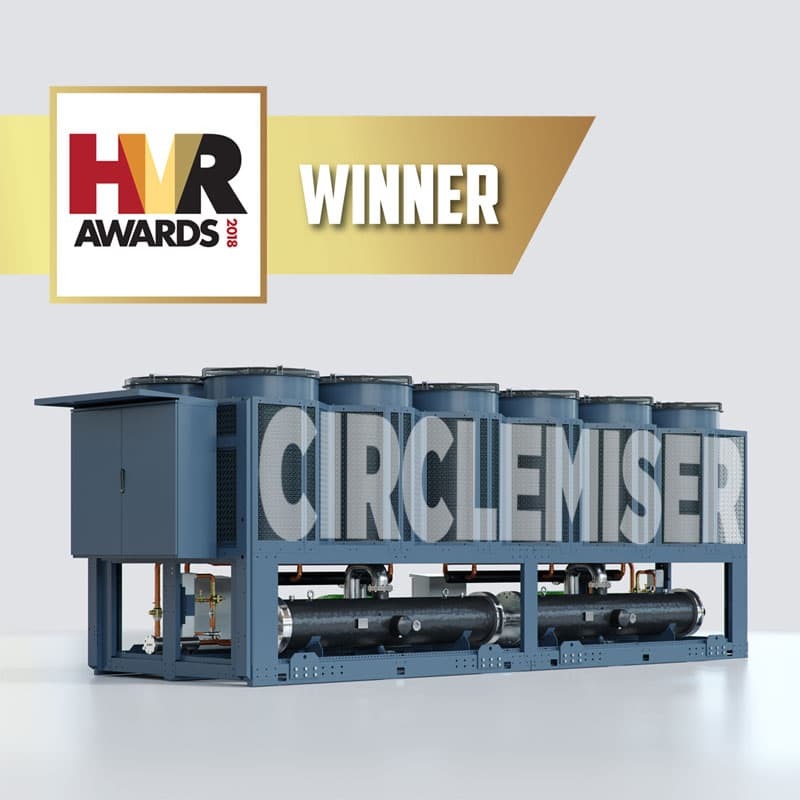 The innovative Circlemiser product range uses microchannel condensers with the heat exchange surface increased by 45%, compared to traditional condensers. 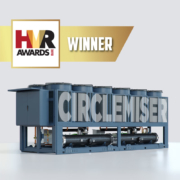 We at Geoclima are absolutely delighted to have won HVR’s award for air conditioning product of the year. It reflects a great team effort on the part of everyone involved. We design and produce special chillers for applications in air conditioning and refrigeration systems, with particular attention to quality and environmental sustainability.